Over recent decades, several types of ancient grain varieties have been reintroduced through organic farming systems. In the past 20 years, there has been a renewed interest in growing spelt, and this species has a market niche in Europe and North America in natural, organic and healthy products. Are there any differences between commercial wheat varieties and spelt? 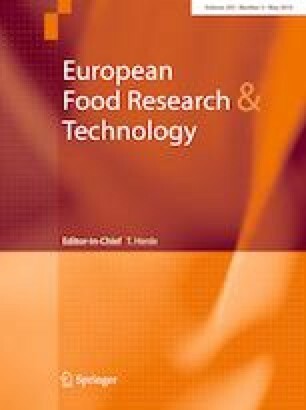 The analysis of the bread-making quality of three bread wheat and two spelt cultivars has found no significant differences between the two types of wheat in protein, Fe or Zn, although differences were observed between cultivars. In mean quality parameters, a marked difference was observed between the bread wheat and spelt cultivars, the latter having poorer alveo-consistographic characteristics, indicative of weaker gluten and dough. With the exception of the variety ‘Craklin’, the gliadin/glutenin (Gli/Glu) ratio is negatively correlated with the technological quality of cultivars. Principal component analysis shows that the two commercial wheats ‘Bonpain’ and ‘Sensas’ lying close to gluten strength parameters; and, dough extensibility was associated with total gliadin content and the Gli/Glu ratio, both types of spelt being more closely related to these parameters, indicating that spelts are associated with greater dough extensibility. The authors would like to thank the Diputación Foral de Álava for their collaboration with this work. This work was supported by Grant No. AGL 2016-77149 from the Spanish Ministry of Economy and Competitiveness.